What’s more important to you as a beer drinker: Complexity or drinkability? Complexity can be a truly wonderful thing in beer, but what if that depth of flavour comes at the expense of drinkability? Is it more important to get layers of flavour to explore, in what turns out to be a bit of a slog, or to find instant gratification in a more shallowly enjoyable package? I suspect the answer is invariably ‘both have their place’ and it is certainly apparent in a couple of beers I tried recently by the excellent Hawkshead brewery. 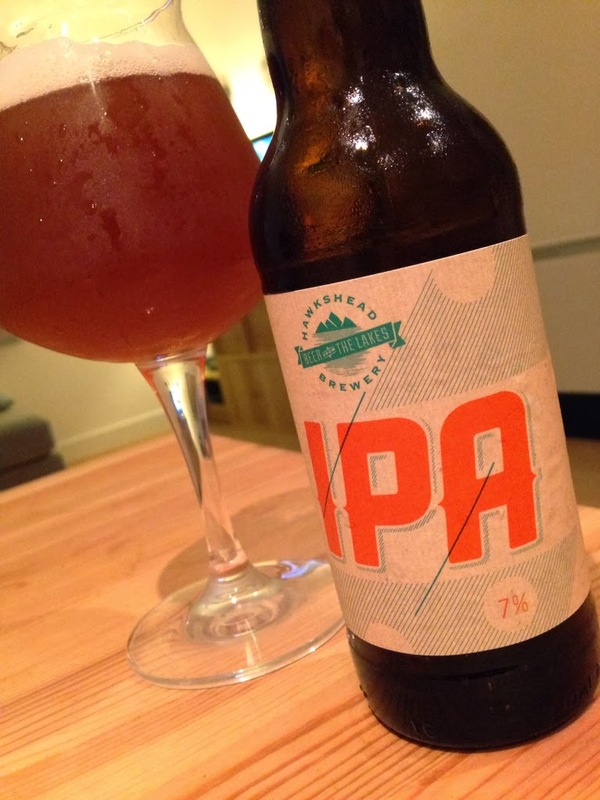 First up is the fruity, floral and fantastically drinkable Hawkshead ‘IPA’. With big, sweet and hoppy aromas of tangerine and grapefruit peel to the fore, it’s bang on the money for the modern American style it is squarely aimed at. The flavour is led by sweet orange, tangerine and more of that puckering grapefruit. There is just a smidge of that slightly dusty straw character you get in hoppy beers on occasion (I'm almost certain it's cascade that's the culprit), but it doesn't get in the way too much as the finish swoops in with Campari like bitterness, under-ripe mango and a final dry, floral bitterness. That said, this is a hoppy but not overly bitter beer where the sweet underbelly lets the top notes of the hops sing but saves your tongue from any burn. Very cleverly done, it sits in the ‘juicy’ rather than ‘punishing’ American IPA category and is all the more drinkable for it. On the flipside, Brodies Prime Export is a very, very different beast. 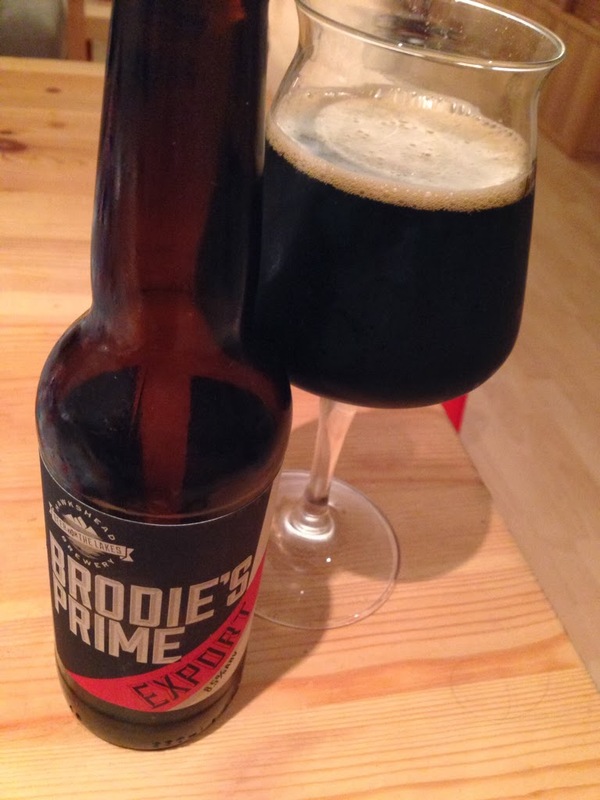 A steroid fuelled bruiser of a beer that shares few traits with its little brother and namesake – but has an undeniable complexity of flavour that I’m sure many will find intriguing. The aroma is all dark brown sugar and sour cherry, and the flavour is initially filled with caramelised brown sugar but then an intense, almost malt-syrup like richness kicks in. Alongside that malt-attack there is an intense, almost acrid coffee edge that reminds me of the Turkish coffee you can stand a spoon up in. Others will no-doubt find layers to this beer's intensity that they can enjoy picking away at over a long, contemplative sipping session – but truth be told I found it a bit of a slog. Complexity at the expense of enjoyment. Is it always worth it?